So starts my series of interview features of independent creatives - the brands, musicians and artists that don't get the support they so deserve, because they don't have a bottomless marketing budget. I've made no secret of my love of streetwear (I will be dressing like a teenage skater until I'm 60), so when the lovely Karl, founder of one of my favourite independent brands PercyCute agreed to a feature, I was pretty delighted. How did it all begin for Percycute? I have been a taxi driver for the past 20 years and in this time I have always drawn even while waiting between jobs in my taxi. My sketches became more intricate, so much so that people would get in my cab to see what I had been drawing. Many times people asked why I was driving a cab when I can draw like I do . So about 7 years ago I decided to go back to college to study graphic design. I graduated 3 years later and then decided to try freelancing my skills as an illustrator, within this time I was getting more requests to provide t-shirt designs for other companies. After a year of this I decided maybe I should produce my own garments with designs on that did not conform to other peoples briefs, basically use my own imagination to produce what I wanted to produce, without limitation. The name Percy Cute comes form the word persecute which means to oppress as I felt I oppressed in my skills for such along time that the name suited the company I was starting. You're designs are seriously original, where do you find your inspiration? The inspiration for the designs come from everyday experiences and my imagination - most of the designs have hidden meanings especially the intricate ones . Although I do find people see completely different meanings in them, as I tend to use objects to portray a feeling or word which are associated to the title of the design. My favourite design is 'Spaceman'. Do you have an all time favourite? My favourite design is my gorilla really its a self portrait , if you look at him he’s slightly moody with a could not care less attitude. 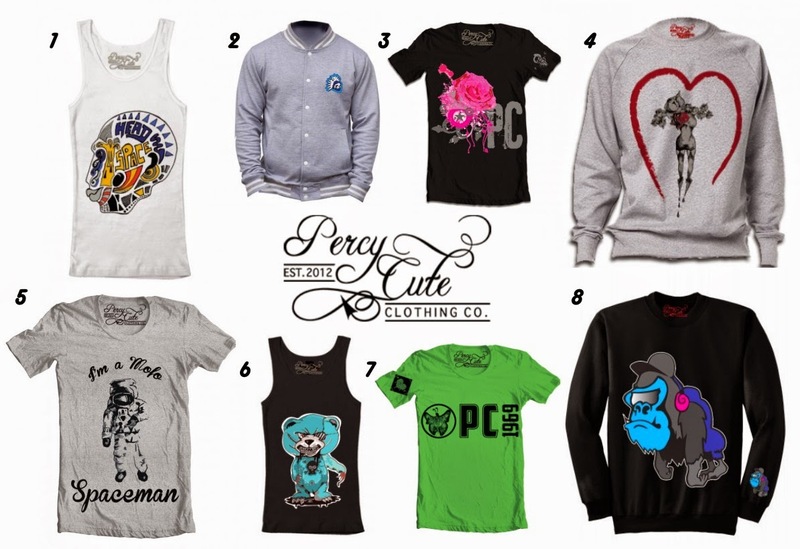 Streetwear is so huge right now, how will you make sure that Percycute stands out from the crowd? I'm never concerned about what other companies do, but I do appreciate others work and my favourite brand are Hubert & Calvin . I don’t look to stand out, I look to produce the artwork that I love and put that on a garment and hope that makes me more appealing than others. The designs are all limited editions, I only make 30 of each design before I re-draw, change or retire the design. Your brand is brimming with attitude, who would you love to see rocking your pieces? I have had a few celebrities wear my designs but I suppose I would like to see Zayn Malik wearing them, and I know this sounds bizarre, but watching his desire for his artwork really hits home with me and of course he has a massive following. Sportsman wise, obviously Mr Beckham would be amazing and I would love Pharrell Williams to shine in a few. Next on the agenda are caps - a few alternative cap designs along with the expansion of full all over prints. 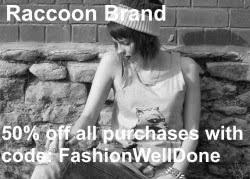 As for the company, the aim is to get the brand in as many independent shops as possible and make the general public aware of what we do . 2.) Grey Skull Jacket.3.) Bleeding Rose. 6.) Effing Care Bear Vest. Be sure to visit the PercyCute website and check out this awesome streetwear label's social media channels: Facebook, Instagram, Twitter. Stay tuned for the next installement of the next installment of the 'Creatives' series. I've missed your posts! This tee looks so cute on you, this isn't a brand that would suit my personal style but I always love hearing about the backstory behind companies/designers! I love these printed T shirts. I love this post Gems, the idea of series like this is pretty awesome! I really like how original and cute these designs are and you are looking lovely as always!